Disabilities and mental issues aren't the same as limitations. One of the most rewarding feelings after watching a movie is when you can relate to it, and Pixar really hit it home for me in “Finding Dory“. I can’t say that I’ve ever lost my parents in the ocean, but I can definitely relate to Dory’s emotions throughout the film. Many children’s movies follow the “believe in yourself and you can do anything” theme; it’s a true classic theme for many of our beloved films, however Pixar was able to enhance that theme and refine the message by portraying a character coping with disability and anxiety. The first film “Finding Nemo” introduces disability with Nemo’s small fin, but they take it to a whole new level in this film. 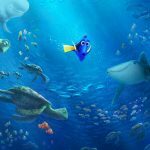 “Finding Dory” focuses on Dory’s short-term memory loss, how she develops coping mechanisms, gets help where she can, and succeeds on her own terms. Finding Dory‘s real emotional power comes from Dory’s relationship with her short-term memory loss. From the very beginning, her parents already try to help her with her condition. They try to teach her brain how to work through her condition rather than making it different. She understands that she’s different from other fish but that doesn’t stop her. What I admire about Dory is that she doesn’t see disabilities as faults, she sees them as what makes someone unique. She encounters other sea creatures along her journey and despite their impairments, Dory doesn’t see them as negatives. 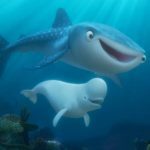 We meet Destiny, a whale shark, who has limited vision, and often bumps into the sides of her tank; Bailey, a beluga whale with a head injury that has interfered with his echolocation, and Hank the “septopus” who lost a tentacle and fears losing another one. 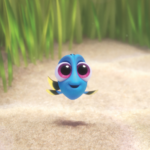 Where they see their limitations, Dory sees their potential and their talents. She’s accepting of everyone around her, but is so judgmental about herself. 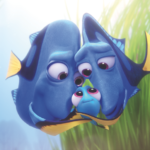 Throughout the film, Dory tries to deal with her disability in relation to herself and in dealing with other people. She notices people getting annoyed by her and starts feeling bad about herself and blaming her condition. She feels as though her short-term memory loss made her weak. 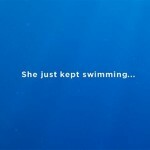 The movie, however, didn’t only show this low point of Dory’s self-perception; the most admirable thing Pixar did with Dory’s character was the courage she had. I saw myself identifying with Dory throughout her adventure. It really got to me whenever Dory was caught in various situations that would be a nightmare for any person, or fish, struggling with mental-health issues. 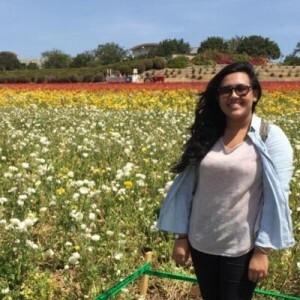 As an adult who’s experienced anxiety issues, I saw Dory do what I’ve done to myself many times: tear herself down for her self-perceived incompetence, self-sabotage her own creative ways of thinking, and repeatedly apologize to everyone around her for feeling as though she was being a bother when all she need was help. The fact that I got to see an animated character face similar issues and how she overcame them was so rewarding. There were strategies Dory used that I’ve personally used and some I’ll keep in mind for future reference. 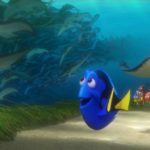 Dory shows that it’s necessary to ask for help when you need it, and that there’s always another way to get results. There’s nothing wrong with asking questions or getting help; there’s a way for everything. We all have different difficulties, disabilities, and disadvantages, but that doesn’t mean we don’t have the strength to overcome them. Our favorite little blue tang fish teaches us that by recognizing our own strengths and embracing our own unique way of thinking, loving, and living, we can overcome obstacles in our path. It’s not enough to know who we are, we should learn to love and accept ourselves; fully and unconditionally – including our past, our needs, our fears, the whole package. I was shocked by the end of the movie; not because of how it turned out, but because of how relatable Dory’s character ended up being. I was blown away with Pixar’s message and how they demonstrated disabilities and mental health issues. It’s okay to be misunderstood, its okay to have a disorder. You can find your own “Dory way” to be able to navigate through uncharted waters. Some viewers may not notice the message, but it’s definitely there. More importantly, it hits home for the viewers who need it most. One of the most beloved quotes in Disney history is truly a mantra for life: despite how messy things can be, all you have to do is just keep swimming.